Advantages of setting up Bank account in Hong Kong? - Allow to open multi currency account - choose from 13 different currencies: AUD, CAD, CHF, DKK, EUR, GBP, HKD, JPY, NOK, NZD, SEK, SGD and USD. Q: Is there any possibility that Hong Kong Limited Company does not open bank account? A: Bank account may not be opened when that is not necessary, but we suggest that all business contacts shall be operated through the bank account of the company. Q: How can a registered company open a bank account? A: Directors must be present at bank for the account opening. Company shall present company registration to the bank for opening bank account. Q: What documents are needed in opening bank account? Q: Is the company bank account operated by shareholders or directors? A: The operation of account can be delegated to third party through delegation, in addition to operation by shareholders and directors personally. Q: Can directors failing to attend the bank account opening procedure in Hong Kong and process relevant procedure in Mainland? A: Directors who desire to open bank account in Hong Kong should come to Hong Kong to process relevant procedures. Directors who are not able to come to Hong Kong can also consider to open offshore account in foreign banks in Mainland. Q: Is there any limitation for cash withdrawal from Hong Kong bank? A: Capital in Hong Kong is freely circulated without limitation. Q: When can bank account be operated? A: Banks will check the register of the company after the procedure of opening account. Generally the account can be ready in 2 to 3 weeks. Q: Can Chinese residents operate the bank account of a Hong Kong company? A: Yes. Generally, the banks only require account operator holding valid passport or travel permit and ID card. Q: What are the differences between Hong Kong local and Mainland offshore accounts in operation aspect? - The capital in bank account is not restricted to come in or go out of Hong Kong while no cash deposit to offshore account of foreign banks within Mainland China is accepted as such account is under the supervision of Chinese Financial Regulator. - The documents for opening account are different. Mainland ID card holder can open offshore account, but only holder of passport or travel permit and ID card can open local account in Hong Kong. 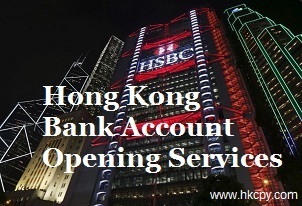 Hong Kong local account has complete banking functions, but offshore account is restricted in some functions. Q: Can a company open several bank accounts? A: In Hong Kong, a bank account is not differentiated by basic account and general account. 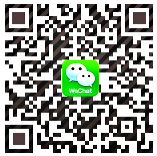 Enterprise can open several accounts according to its needs, and every account has the same function and position. Q: Are there any restrictions for remittance and foreign currency exchange in Hong Kong banks? A: Capital is free to come in and go out of Hong Kong, without any restrictions.